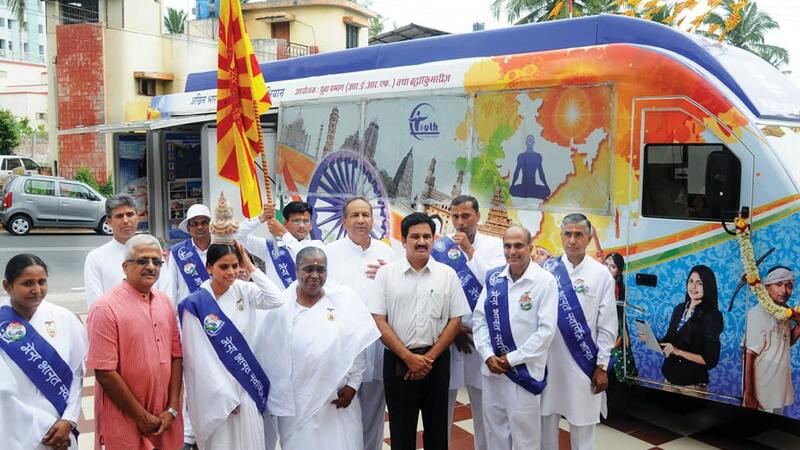 Mysuru: An All India Exhibition Bus Campaign (2017-2020), ‘My India Golden India,’ by Brahma Kumaris Mysuru and Youth Wing of RERF (Rajyoga Education and Research Foundation) was launched by Swami Vivekananda Youth Movement (SVYM) Founder Dr. R. Balasubramaniam at Gyan Prakash Bhavan, near Akashavani Circle, Yadavagiri here yesterday. The campaign bus took off from Ahmedabad in Gujarat during Aug. 2017 and after travelling through Maharashtra and Goa has arrived in Karnataka. 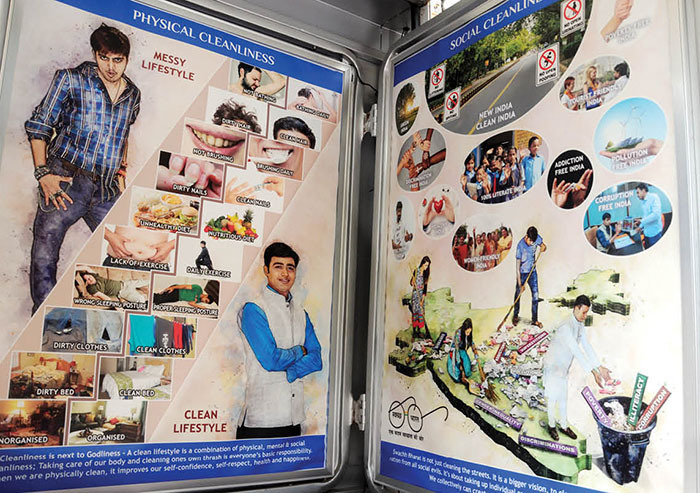 The special bus with posters on Swachh Bharat, Spiritual Values & Character Building, Yoga and Meditation, Positivity will travel for the next two days in city covering schools, colleges, industries, temples and other places to awaken the youth on the aforementioned topics. The vehicle will later move on towards Kerala. B.K. Lakshmiji, Brahma Kumaris Mysuru Sub-Zone Chief Co-ordinator, graced the occasion. Nehru Yuva Kendra Mysuru District Co-ordinator M.N. Nataraj was the chief guest. As part of the bus campaign, a rally will be taken out today at 4.30 pm from Kote Anjaneyaswamy temple to Gyan Prakash Bhavan.